The holy month of Ramadan will begin on the 17th or 18th of June in the United Arab Emirates this year. Celebrated as a time of religious reflection and spiritual rejuvenation, Muslims abstain from food and drink from dawn to dusk. What would be wrong to assume, however, is that marketing and brand communications activities observe a fast too, avoiding any campaign that has the potential of staying relevant in the 4 special weeks. Brands that do not wish to merely see off Ramadan usually churn out that one big idea months in advance. With enormous potential comes cultural and religious sensitivities attached to a campaign. There’s no margin for frivolity, and any attempt of merely trying to fit in with the spirit of a festival can lead to sharp criticism – both from passive observers and the religiously inclined. Finding the right space of creativity for a ritual guided by religious beliefs and practices poses an interesting challenge too. How does a brand go beyond the obvious leads of hunger and thirst, and place itself in an area respected & lauded by the people? Splash – part of renowned Landmark Group based out of UAE – is one of the Middle East’s largest fashion retail outlets. In just about a month from Ramadan, out of complete randomness, I chanced upon Splash’s sponsored tweet inviting people to participate in their Ramadan campaign. At Splash, the cause of humanity is one that’s always been close to our own heart. We believe there are numerous people out there, people from every walk of life, who espouse the cause of humanity in their own unique way without expecting anything in return. People whom you may have seen, known or heard of who strive to improve the lives of their fellow beings around them. Splash ‘Heart of Gold’ has been instituted not only in the true spirit of giving during the holy month of Ramadan, but also as a tribute to these unsung heroes who devote their time, money and effort selflessly to the cause of humanity. As a retail outlet that decks up wardrobes with fashionable clothes and accessories, being relevant to Ramadan would certainly have been a challenge. The brand is not a consumable food item that can make it to the table during suhoor, nor is it a restaurant that people can flock to for iftar. They deal in products that are often displayed on lifeless mannequins, and yet here they are hoping to acknowledge the goodness in selfless giving. By indulging in this campaign, in my humble opinion, Splash goes beyond the mundane obvious. It has identified a key element that is actively promoted in Ramadan – charitable behaviour towards society. By rewarding this act of righteousness, Splash will garner the respect of the public at large and those particularly involved in charity work. To talk purely of Splash’s main product offering, clothes come nowhere close to hunger and thirst – 2 things commonly (and sometimes narrowly) associated with the month. However, they’ve always been an important contraption in contributing to charity. Be it donating clothes to the poor or in areas afflicted with a calamity, the product association with the core of the campaign is not amiss. In addition, people frequent clothes and accessories retail outlets to shop for Eid al-Fitr. This brings Splash another challenge of integrating their online efforts with their store customers, and to familiarize them with the campaign. According the campaign, nominations will be sought from whosoever wishes to name their choice. Anyone can access the App, write the details of his/her nominee and justify the nomination in a 1000 words. The 30 winners will be chosen by a jury from the brand. The opportunity to nominate serves several benefits – the pool of nominees would be extensive and diverse (in nationality and sector of humanitarian work), and would encourage people to spot a potential nominee in someone who could be casually generous in expending social services. A campaign of this scale and philosophy can be expected to make its mark in media too. The print media in UAE has seldom held back from recognizing Good Samaritans in society, especially in highlighting stories that reflect honesty and nobility in their day-to-day dealings. The story behind each of the 30 nominees would certainly make for an interesting read. This will not be the first time that Splash exhibits its relationship with societal responsibilities. 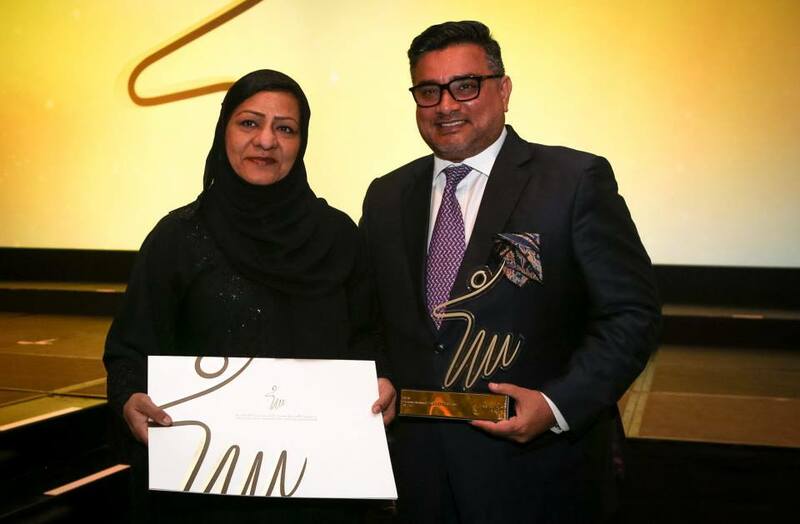 Recently, the brand was recognized at the Princess Haya Awards for Special Education as an ‘Outstanding Institutional Supporter in Private Sector‘ for its work with students of Special Needs Future Development Center (SNF) in Dubai. I learnt from first hand account of a student & friend from SNF about his induction into the Splash workforce in one of the Splash stores, and being acknowledged by the management as ‘best employee of the month’. Such initiatives are a major boost for special education training centers as they search an inclusive environment for their students, especially adults of the working age, to learn and thrive in. It will be interesting to know how the #SplashHeartOfGold campaign pans out for the brand. If successful, Splash could well set an example for other brands to buck up and come out strong, or look on as the sun sets on their Ramadan activity. Is there a Ramadan campaign that has caught your attention from this year or the past? Contribute by commenting below!